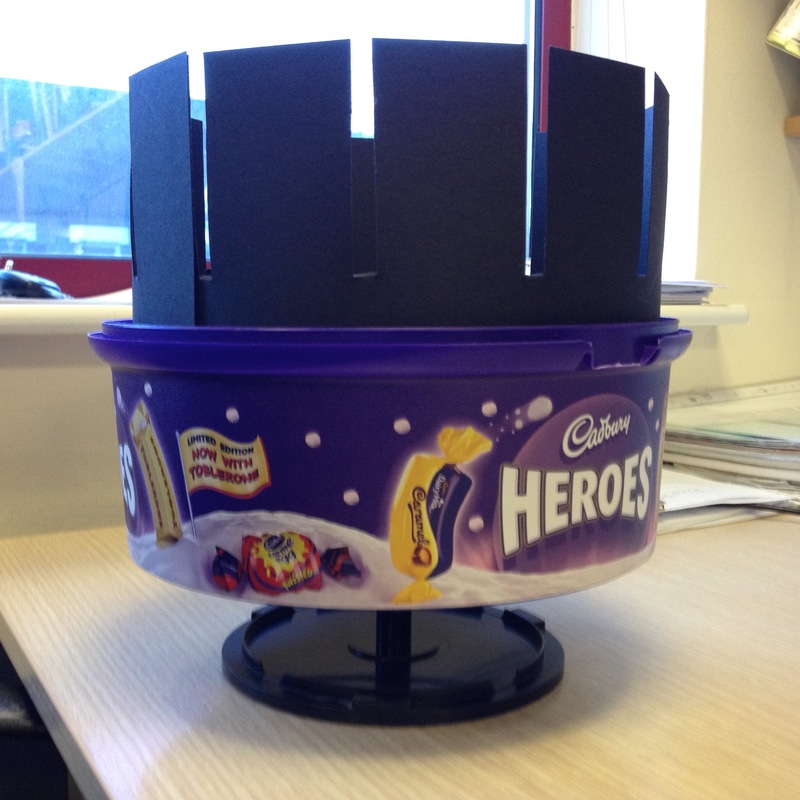 Buying a real Zoetrope is expensive! I recently introduced my students to some basic animation principles, and thought it might be fun to create some animation strips. 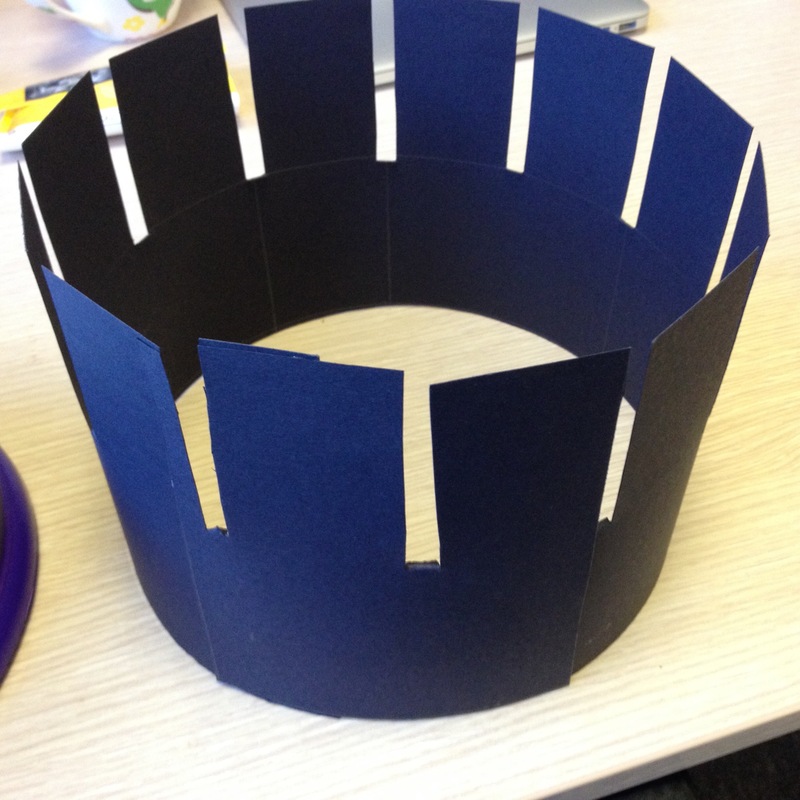 The main problem was my lack of Zoetrope. After browsing various internet shops in hope of picking up a cheap one, it seems the only options are rather expensive antiques or small, cheap kids toys. I came across a few DIY Zoetrope videos on YouTube. All required materials I didn’t have access to. 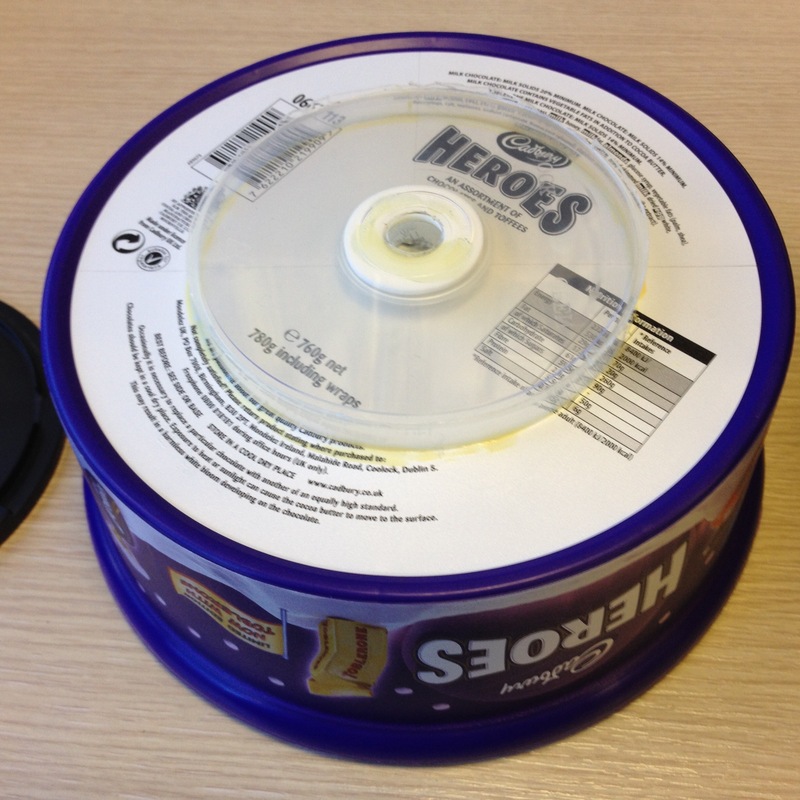 I did have an empty sweet tub, cardboard and an empty CD spindle. Glue this onto the base of the sweet tub, make sure the dimple is pointing inwards. 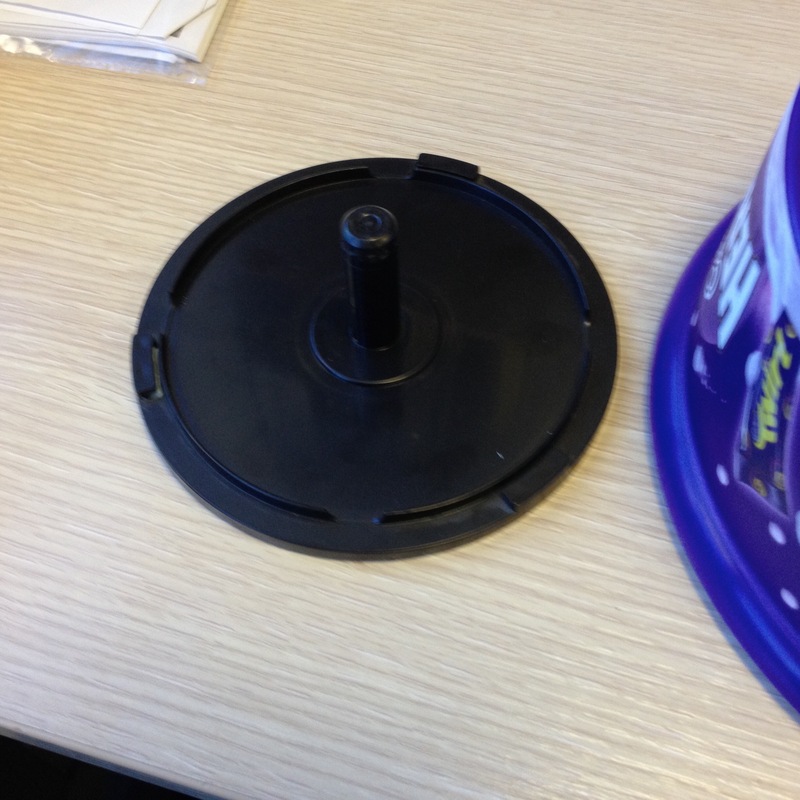 Attach the lid to the spindle.